The Skwad - Behind the Scenes. Jai Courtney, Margot Robbie, Will Smith, Joel Kinnaman, 어치, 제이 Hernandez and Karen Fukuhara pose behind the scenes.. HD Wallpaper and background images in the Suicide Squad club tagged: photo suicide squad movie 2016 behind the scenes jai courtney margot robbie will smith joel kinnaman jay hernandez karen fukuhara. 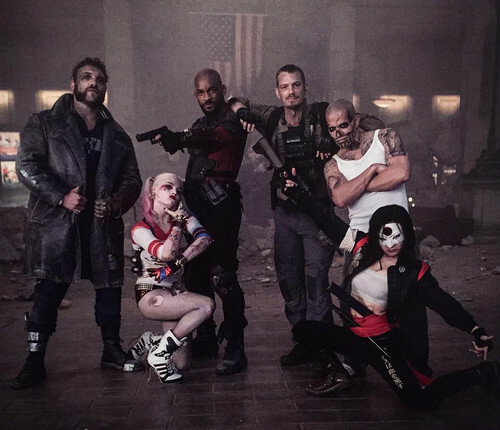 This Suicide Squad photo might contain 신사복 and 비즈니스 정장.